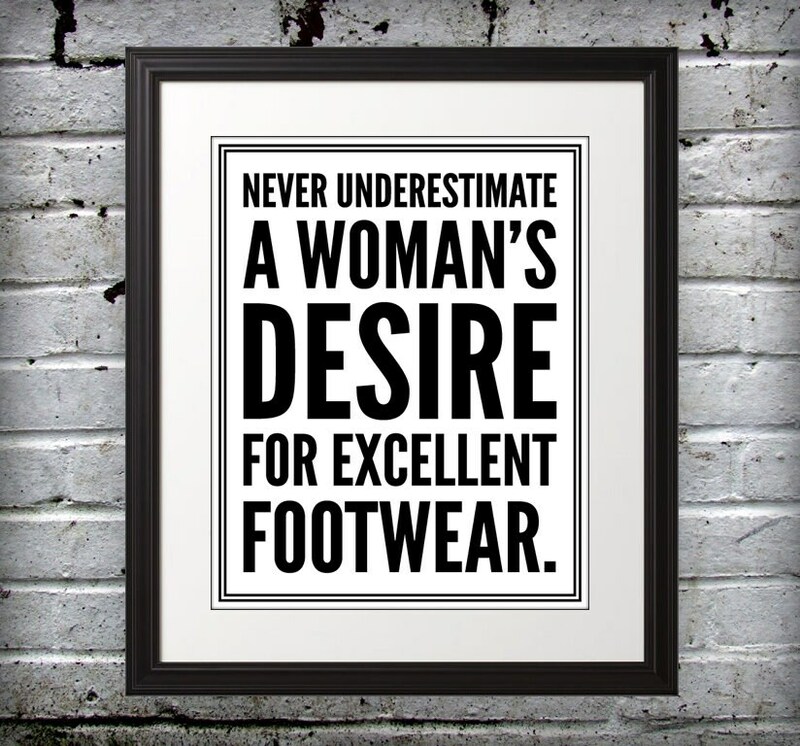 Never underestimate a woman’s desire for excellent footwear. 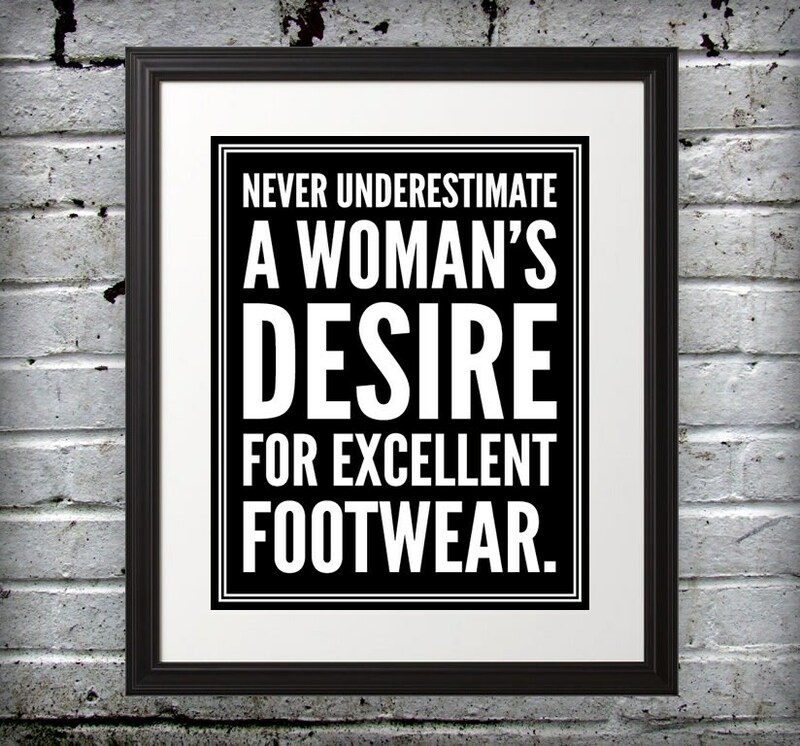 This Marilyn Monroe inspired 8x10 would look great shoe closet. This print is professionally printed on a thick paper stock and will last for years to come. The frame and matte are not included, but it is perfect for framing. The word "proof" is removed when printed. When ordering please let me know which print you would like... the top print or bottom print. Please contact me if you would like this print in different colors or sizes... I can also offer this print in 5x7 and 11x14.